All of our ice spotters concurred! 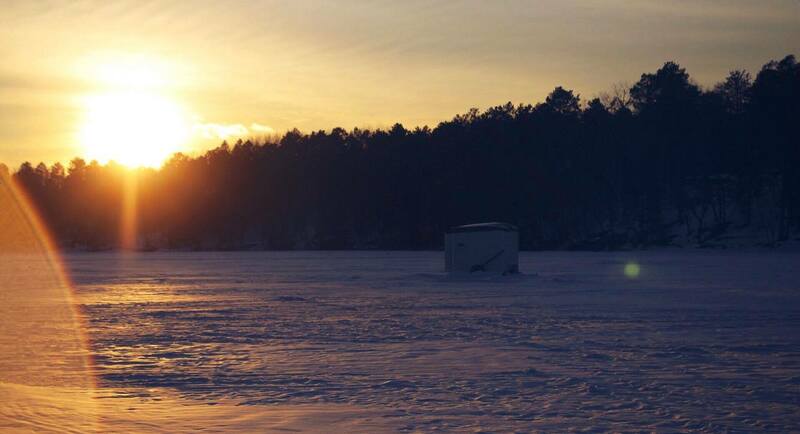 We now have our official ice-in date for 2017 on Long Lake confirmed. 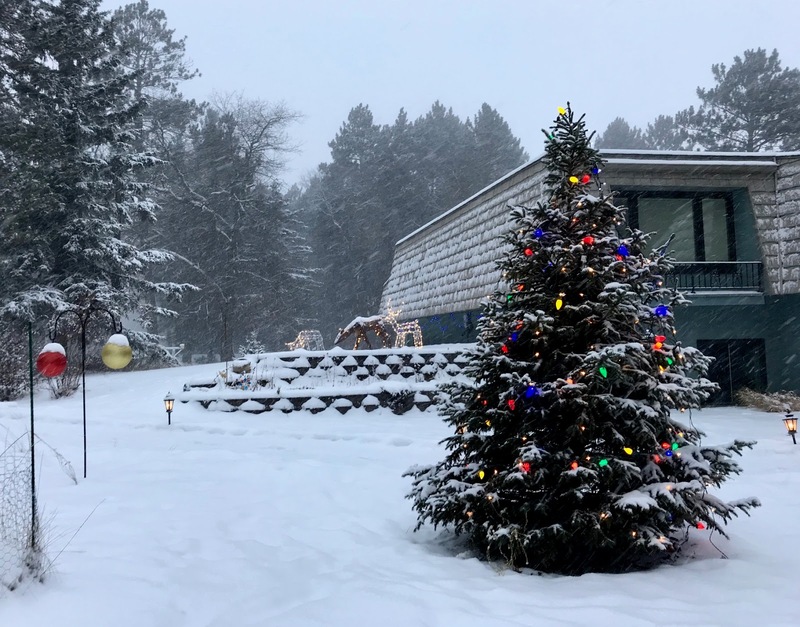 It happened yesterday, Thursday, December 21, 2017, which fittingly was also the first day of winter. Michelle Armstrong had the closest guess for the ice in date. She guessed Dec 18th. The next closest guess was December 27th. We had 15 people enter guesses for the ice-in date this year. There will be a drawing for the quilt donated by Monika at the beginning of the Annual Meeting in June 2018. We wish you a wonderful holiday season. 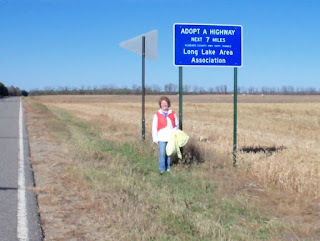 Merry Christmas and Happy New Year from the Long Lake Area Association board and the LongLakeLiving.org website staff. The official Long Lake "Ice In" guessing contest is open. Join the fun! Guess the “Ice In” date for Long Lake this season! 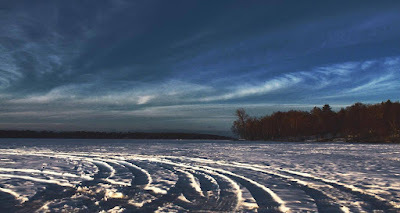 To participate, please send your guess of the date that Long Lake will be completely frozen over to longlakeliving@gmail.com. All those selecting the winning date will be recognized on this blog. 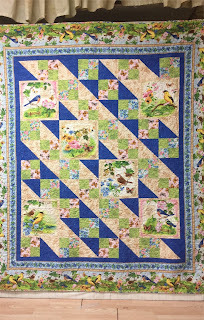 A drawing from ALL participant names will be held at the annual meeting for the lucky winner of a quilt, compliments of Monika; The winner can pick up the quilt when you are at the lake, if not present. To help you with your guesses check out the link to the Ice Data page on our website. It has all the historical data. Good Luck..
Owen was fishing off the dock at Grandma & Grandpa's cabin on the east side of the lake next to Dakota Shores. He was using Power Bait Grubs. Owen caught the bass about noon on Friday, June 16th. 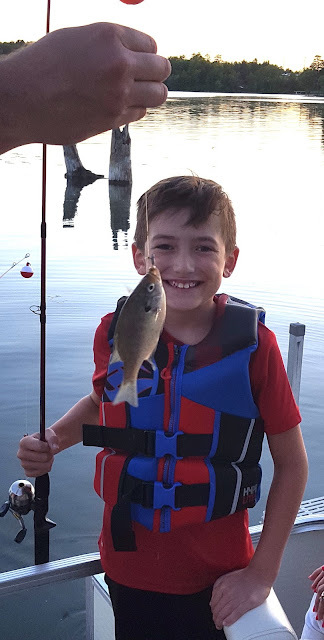 He loves to try and catch the big ones and to out fish his dad. Following is a video composite of photos from our 2017 Fourth of July Flotilla. Photographs were contributed by Carolynne White, Linda Johnson, Donna Neumann, Sharon Natzel, and Barb Roberts. Thanks to all of you who participated and made this another wonderful parade! The flotilla is a fun way to start the Fourth of July for everyone participating and those watching from shore. 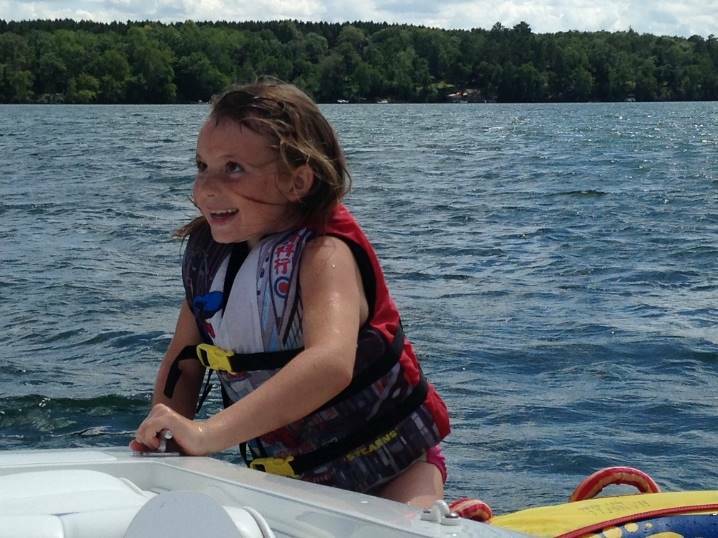 Join the 2017 Long Lake Flotilla! Time to Decorate your Boats, Pontoons, etc. 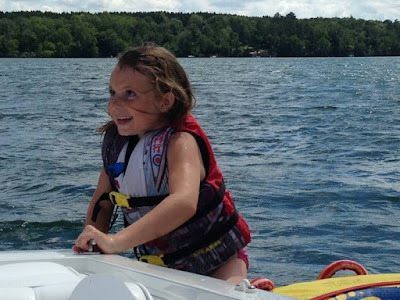 The annual flotilla, held on July 4th, is a Long Lake tradition. As in previous years, all who wish to participate are asked to gather in front of New Frontier Resort at 9:50AM. Participants will follow either the North or South route Leaders as they lead off at 10AM. Like last year, we want to continue to encourage more Northerners to join in for the North route please! This is always a fun event for everyone around the lake. Start thinking of decorating ideas! 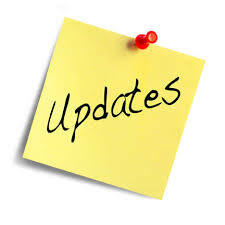 If the weather doesn’t cooperate that day and we have to cancel, we will update the status of the Flotilla here on the Long Lake Living website and the Long Lake Living Facebook page at 9:30AM on Tuesday, 7/4/17. For decorating inspiration we have included this slideshow we put together from last year's flotilla or if you are using a smart phone or tablet click here. We had 13 entries this year. Each entry's name was put into a hat and drawn at random to determine the winners. Each winner received a DQ certificate at the annual meeting or will be receiving one in the mail when the contact information is confirmed. See the individual fishing stories for each entry by following this link. 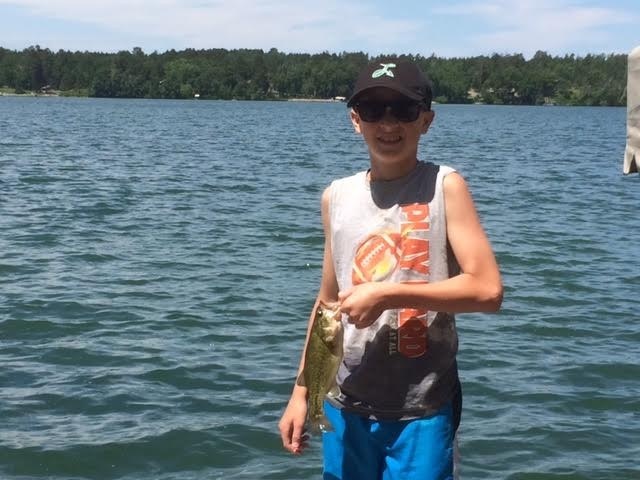 The goal of this contest is to encourage kids and their families to fish in Long Lake. 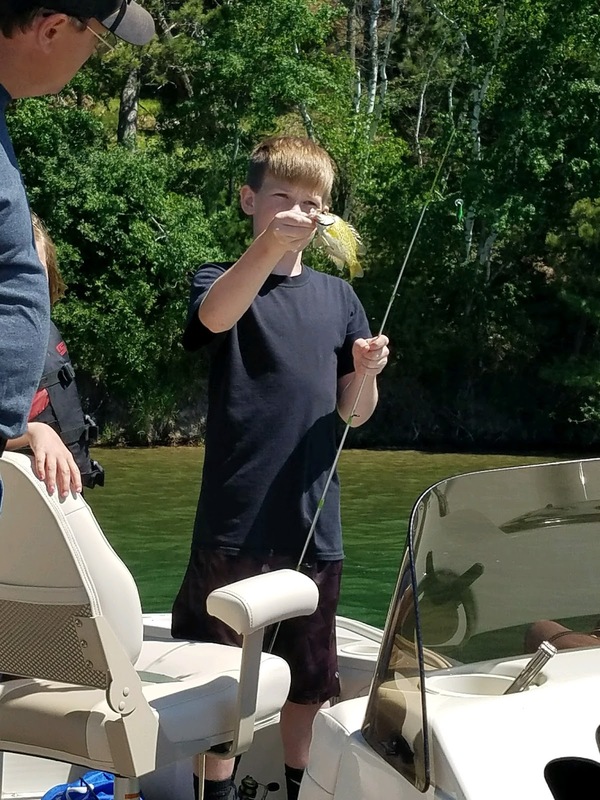 It does not matter if you catch a giant Northern Pike or a pretty little Pumpkin Seed. It is the fun factor that counts! 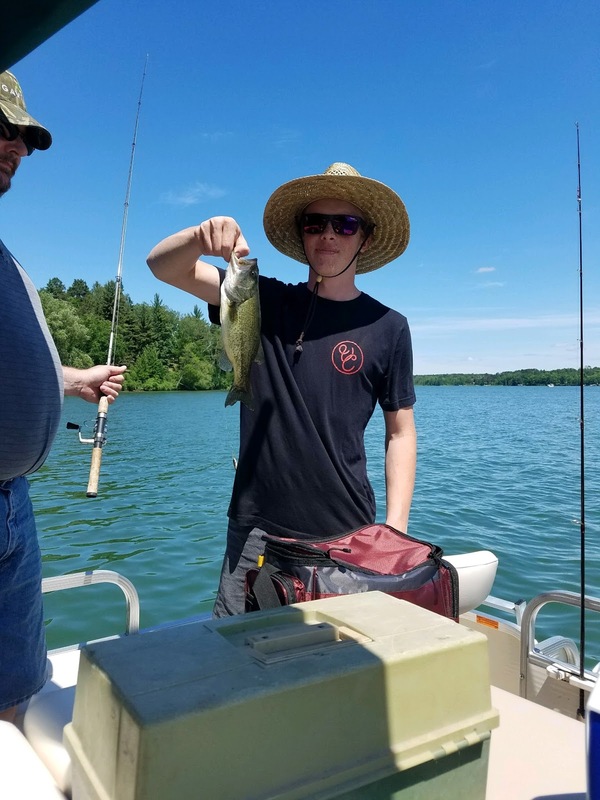 Fifteen year old Spencer caught this large mouth bass on a minnow near Pine Island on Sunday, June 11th. He was fishing with his sister, brother, parents, uncle and aunt. Spencer loves family fishing vacations. Sophia was fishing off the dock on the north end of the lake. She was using night crawlers for bait. She caught lots of sunfish and blue gill. 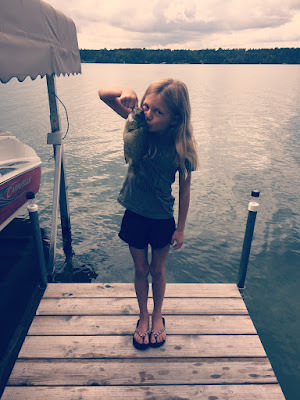 This fish was caught Sunday, June 11, while fishing with her brothers, dad, uncle, and grandpa. Sophie is 11 years old and loves to fish! 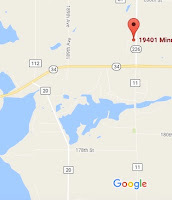 Long Lake Area Association (Hubbard County) Inc.
9:30am Social - refreshments and registration. 10:00am Business meeting - timely information, breaks, ends with door prizes! There are always great door prizes. 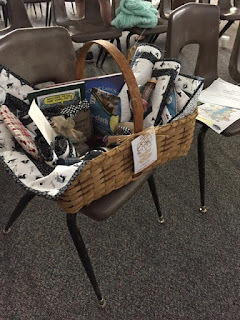 Pictured is the grand prize basket from last year... What is going to be in this year's basket? 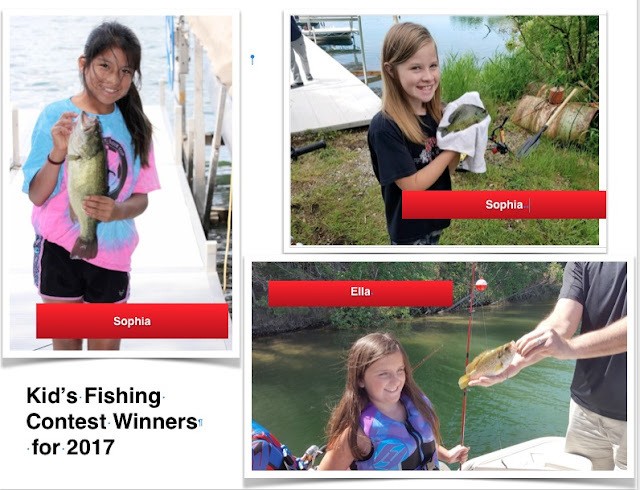 A reminder that the Kid's Fishing Contest ends on June 22nd and the winners will be announced at the Annual Meeting on June 24th. 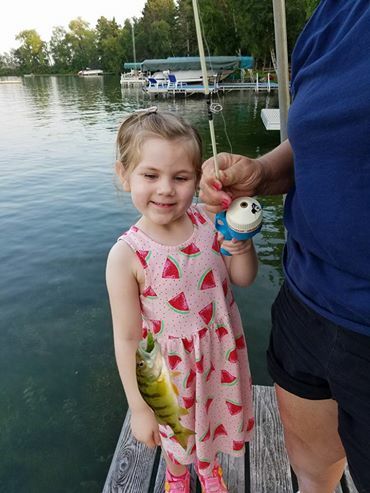 Ella went fishing with her brother, Alex, their parents, and their grandparents. 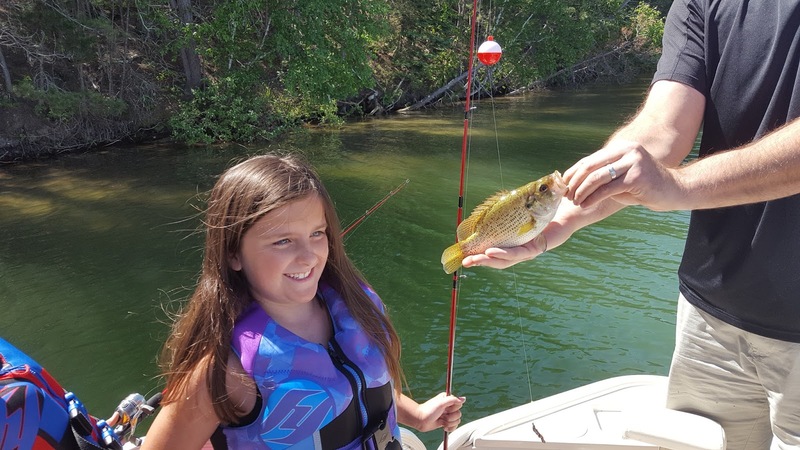 They caught numerous sunfish and rock bass using night crawlers. 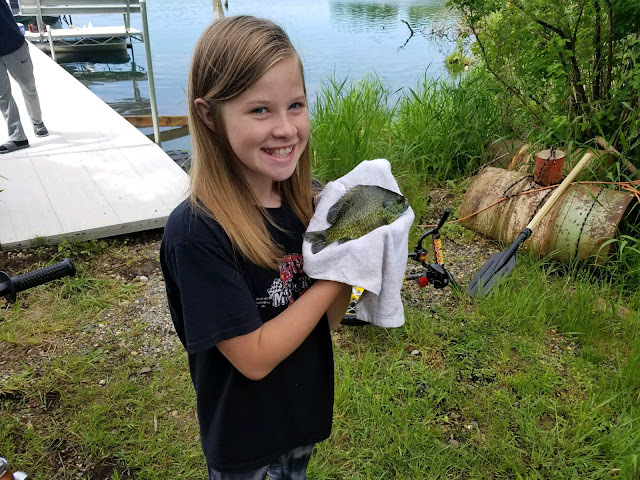 She caught this one the morning of June 6th near Wooter's Point on the east side of Long Lake. 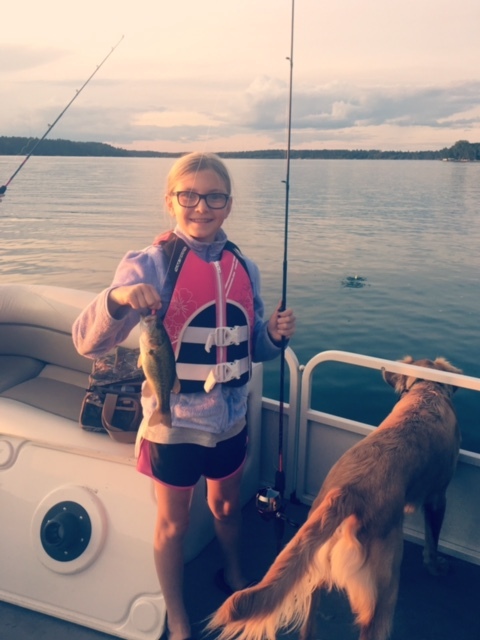 She enjoys fishing and being out on the lake. 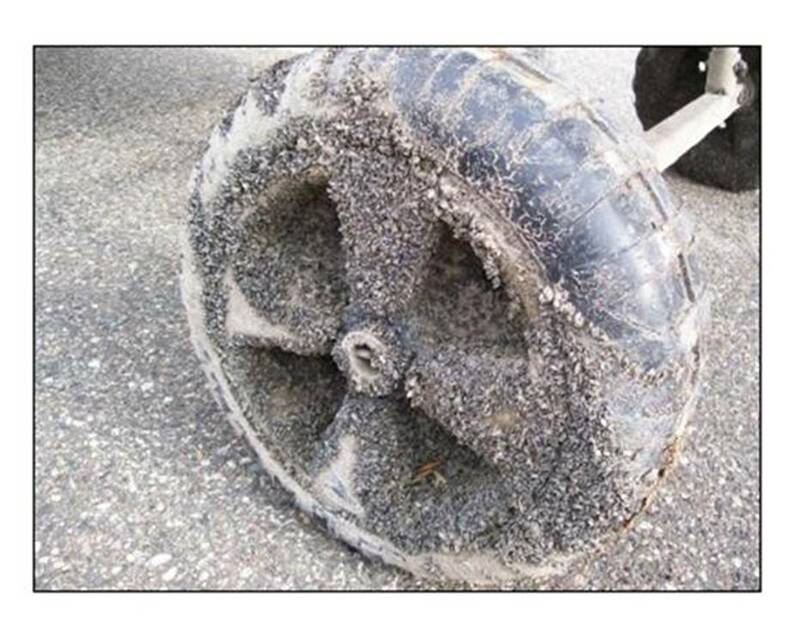 Do you know that in 2011 Minnesota passed a law for service providers so that AIS, such as the Zebra mussels pictured here, are not transported from one waterway to another? 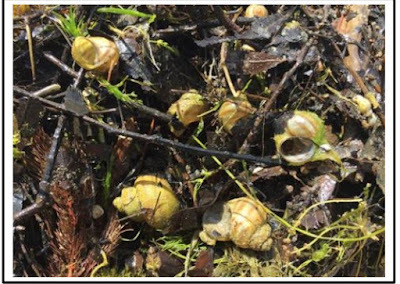 Contamination from nearby infested lakes, such as Leech Lake (Zebra mussels), Detroit Lake (Zebra mussels), Twin Lakes and Crow Wing Lakes (faucet snail), needs to be prevented. Check if your service provider uses equipment in infested lakes like Leech Lake (the big lake near Walker) or Detroit Lake. Call ahead before delivery to check how they decontaminate their trucks, trailers, boots, and clothing. We are going to need extreme vigilance to prevent contamination. While certified providers have been trained, it is well worthwhile for each of us to call our provider and make sure the precautions are being taken. 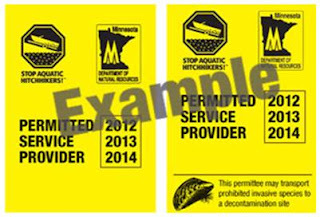 According to the law, service providers are individuals or businesses hired to install or remove water-related equipment, such as boats, docks, boat lifts, or structures, from waters of the state. 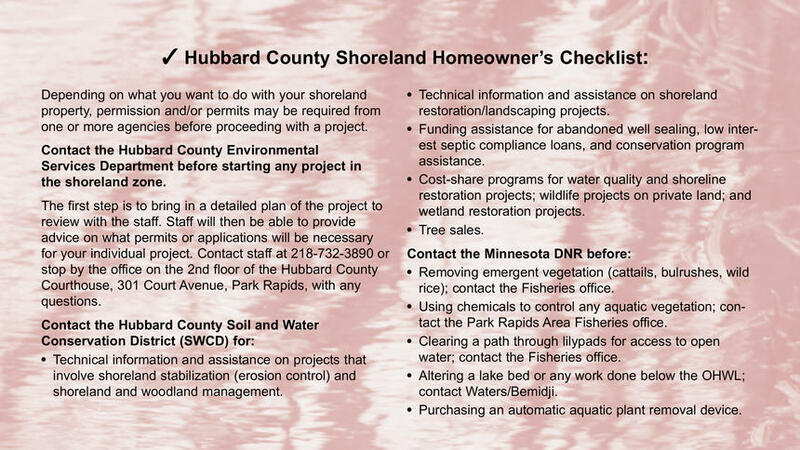 They are required to obtain a permit from the DNR before providing any of those services. Permits are granted after the principal person in the company has attended and passed a 3 hour training course relating to AIS issues and paid a $50 fee. All employees must take an online AIS course. Vehicle stickers and wallet cards are then issued. To confirm your provider is permitted visit: http://files.dnr.state.mn.us/rlp/permits/lsp/lsp-permits.pdf. Look under Hubbard County or if the provider is further away, check Clearwater, Beltrami, Cass, Wadena, Becker or Otter Tail counties. Please be sure your guests decontaminate equipment coming from infested areas. As so often happens in Minnesota, the fishing opener and Mother's Day coincide again this year. We wish the best of luck to all the anglers and a very happy Mothers Day to all mothers. A new fishing contest will be announced at the LLAA Annual Meeting and we will post about it later on the website. This new challenge will be for adults. Lloyd William (Bill) Stover died on Thursday, April 27th, at Diamond Willow in Park Rapids. Bill will be missed by the Long Lake community. His family is one of original families to build a cabin on the west side in what was called Pine Haven. His grandfather, Harry Taylor Stover, bought a lot on Chippewa Loop in 1928. 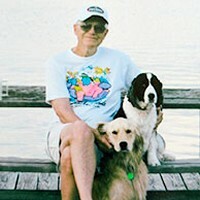 His father, Lloyd Stover, as a college student took a summer job surveying Long Lake for The Burris Pilkington Company. This was the company that was selling lake lots from the present day Beach Haven Road to the north end of Chippewa Loop. Many residents will recognize the name Stover as Stover Bay near the Pine Haven Christian Assembly Camp. (Some of the old maps have misspelled it as Stoffer Bay.) While the Stover cabin on Chippewa Loop still remains in the family, Bill and his wife, Kristi, had their own cabin on the east side of the lake. 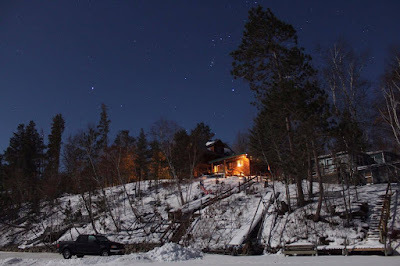 Bill and Kristi met at Long Lake as her family, the Beals, also have a cabin on Chippewa Loop. but it was gone by 9:30 am. According to our data, 2012 had the earliest ice out and 2013 had the latest of ice out. Hurray for David Anderson, Elizabeth Nelson, Jerrie Pritzlaff. They all guessed the ice out date correctly. They get bragging rights for the rest of the year and recognition on Facebook, our Newsletter and this blog. Random Drawing for the Quilt! 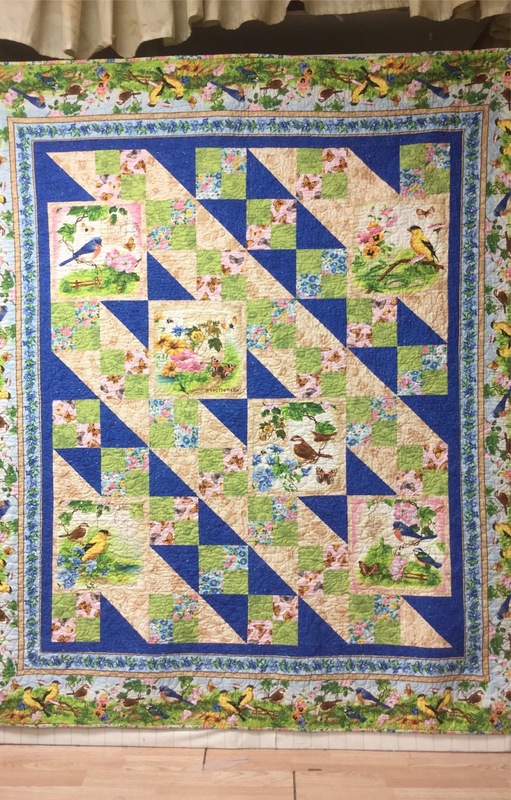 The Quilt winner is Bob Oliver. He guessed 4/13/2017 which is pretty close to the mark. Bob's name was chosen at random from the 85 guesses that were submitted to Long Lake Living. All guesses were put on a spreadsheet and organized according to the date guessed. Then a random number generator was used to pick one number (37). That line on the spreadsheet was Bob's number. He can arrange to pick up his quilt directly from Monika Wilkins. He received an email with the details. Local news sources, organizations, and churches helped promote the Hubbard County Community Interdenominational event held Monday evening 3-20-17 Riverside United Methodist Church hosted for the 2nd year by Pastor Chip Nielsen. 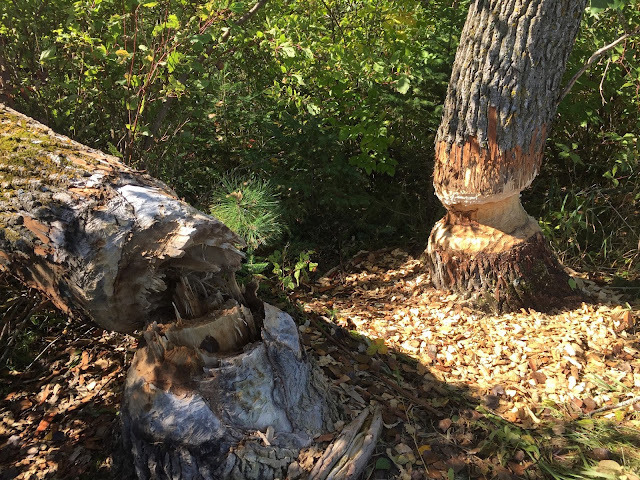 3) New Challenges and Responses to AIS by Nicole Kovar, MN DNR Invasive Species Specialist. 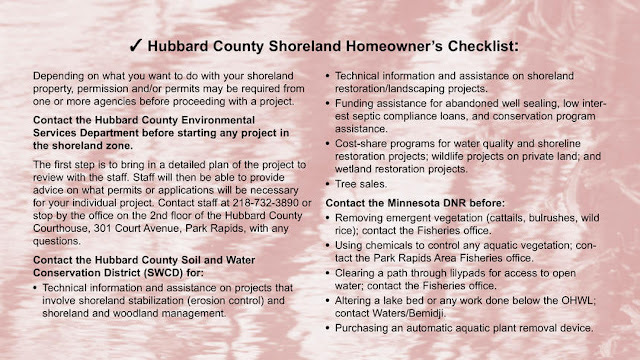 4) Hubbard County’s AIS Prevention Program by Bill DonCarlos, Hubbard County AIS Program Coordinator. 5) Minnesota Lakes and Rivers Advocates, Jeff Forrester, speaking on Statewide Challenge, Legislation & Policy at Capital. 6) The Value of Clean Water – Shared Resource and Responsibility, by Dan Kittilson, Hubbard County Coalition of Lake Associations (HC COLA). 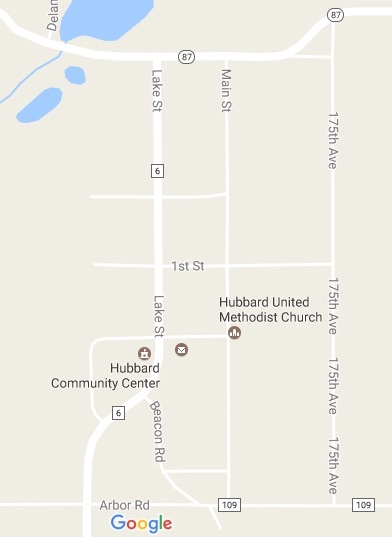 7) Hubbard County COLA has posted a page with links to each power point presentation. Click this link to see each power point. 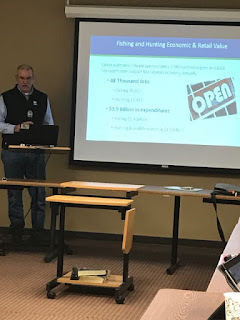 At the HC COLA meeting held the evening of March 23rd, Doug Kingsley, MN DNR Area Fisheries Supervisor, spoke about the need for the proposed increase in hunting and fishing license fees. 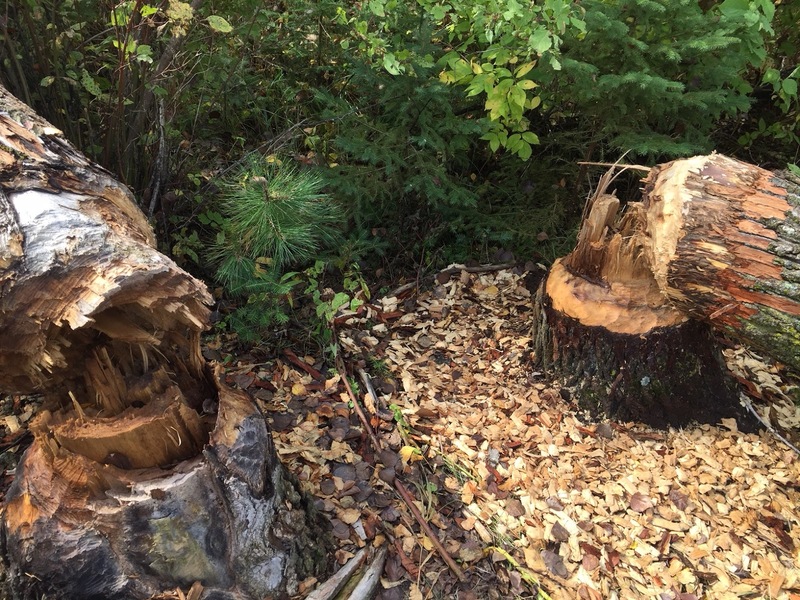 The DNR's request for a license fee increase is part of the governor's budget. Become informed about what is at stake for our lakes - and let your representative know how you feel about the proposed license increase .. The proposal should keep the Game Fish Fund solvent until 2021. 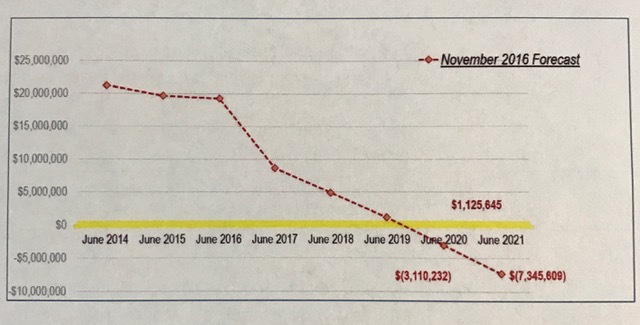 The last time there was an increase only half of it was approved so the Fund is running out of money. These programs which include research, enforcing, and managing fish and wild life are meant to be funded through these fees not from other sources. It is an important part of the economy in our area and one in which we, as citizens, can have our say. "The data shows that the mean (or average) ice out date for Long Lake is April 20 with normal variation extending from March 20 to May 20. Only three years out of a thousand could it fall outside those dates. 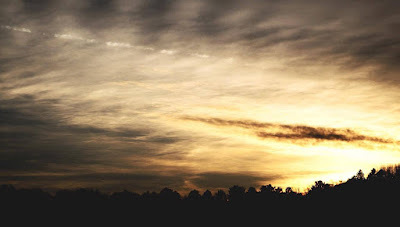 The exceptions, due to special causes outside the system, could be from global warming, earthquakes, a satellite controlled mirror reflecting the sunlight down on a GPS coordinate of our lake, forest fire around the lake, etc. 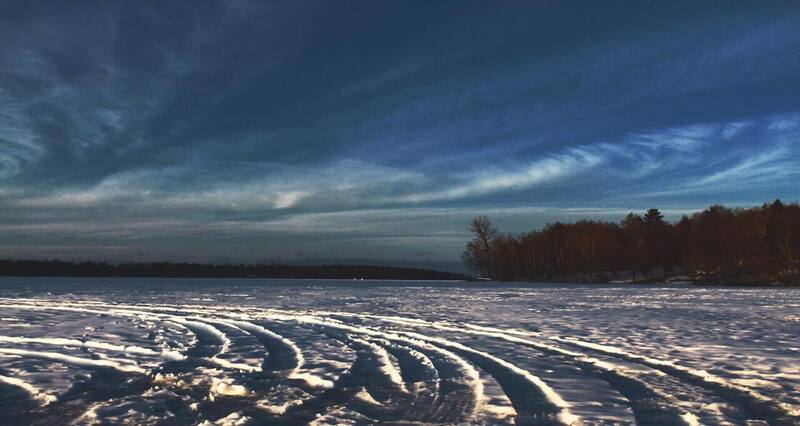 All we can say with some assurance is that the ice will go out on Long Lake between March 20 and May 20. In between there is anyone’s guess." So what is your guess? 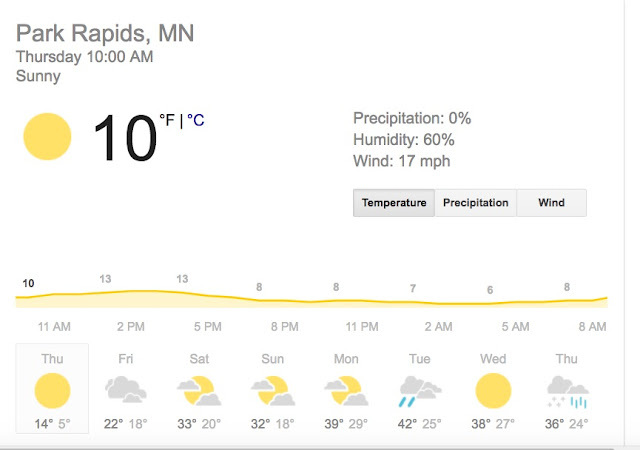 Join in this yearly guessing game: Email us at longlakeliving@gmail.com with your guess as to when you think Long Lake will be completely free of ice. The definition of Ice Out on Long Lake is when there is no ice anywhere on the lake. The person who guesses the actual date of ice out or comes the closest, will win fame and bragging rights on Facebook and the website until next Spring. Two Ways You Can Help fight AIS! Monday, March 20th, 7 pm, Riverside United Methodist Church, Park Rapids. 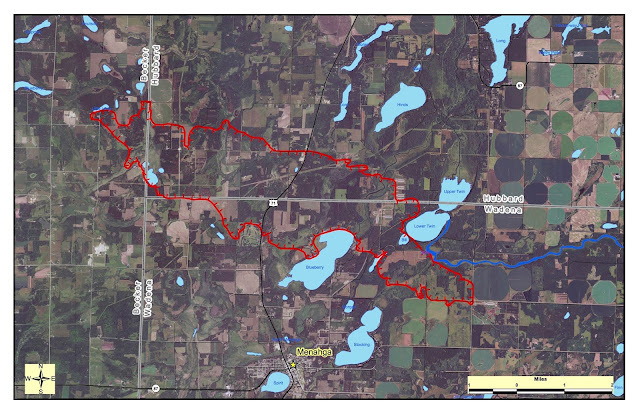 Hubbard County is now surrounded by infested lakes. Are we doing enough? Jeff Forester – Minn. 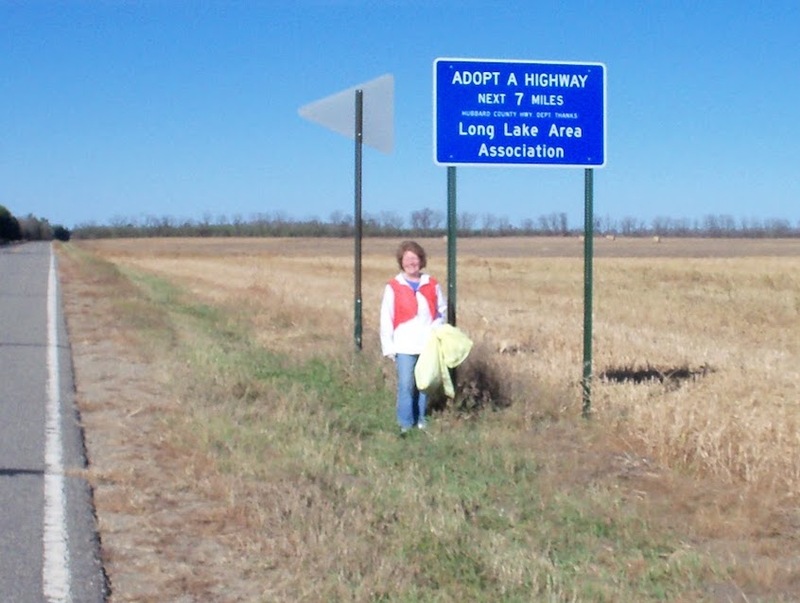 Lakes and Rivers Advocacy Assoc. Click here for a link to more information about the event. Also, please plan to attend and support the AIS Watercraft Inspection Funding for 2018! 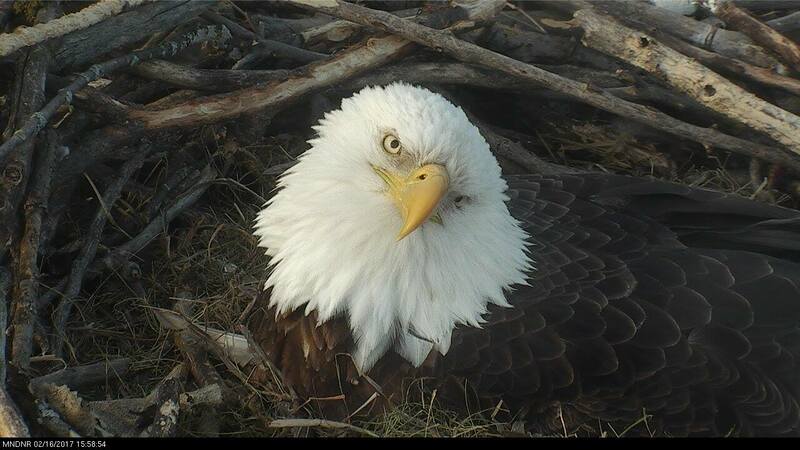 The bald eagles have been diligently incubating the eggs in the nest for nearly a month. The male and female take turns keeping their eggs warm and dry in a deep pocket in the middle of the nest. Even though the nest has at times looked chilly and sometimes was covered in snow, bald eagles in Minnesota have adapted to laying and caring for eggs in these conditions. Baby eagles are called eaglets or chicks. Bald eagle chicks hatch out of round or oval eggs that have been incubated for approximately 35 days. 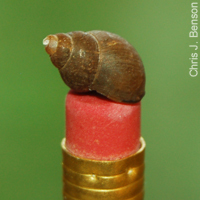 They weigh about 2 ounces when they're born and can gain 6 ounces of weight every day. 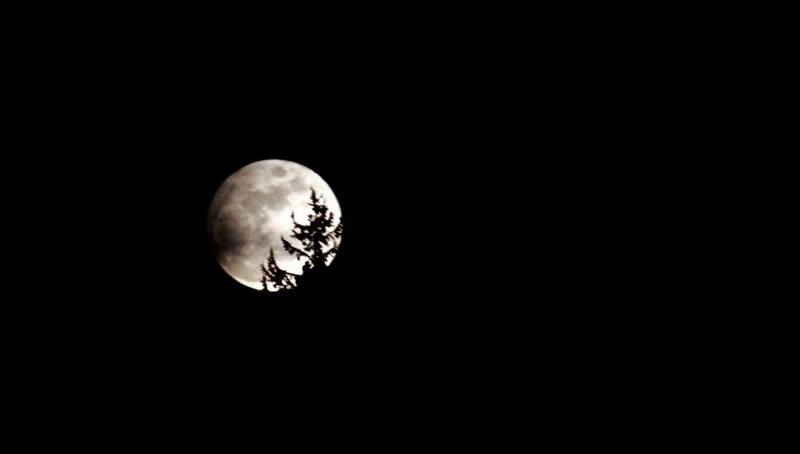 These photos were taken last weekend by Nolan Kern and he sent them to us to share them with you. His family has a cabin on Beach Haven Road. 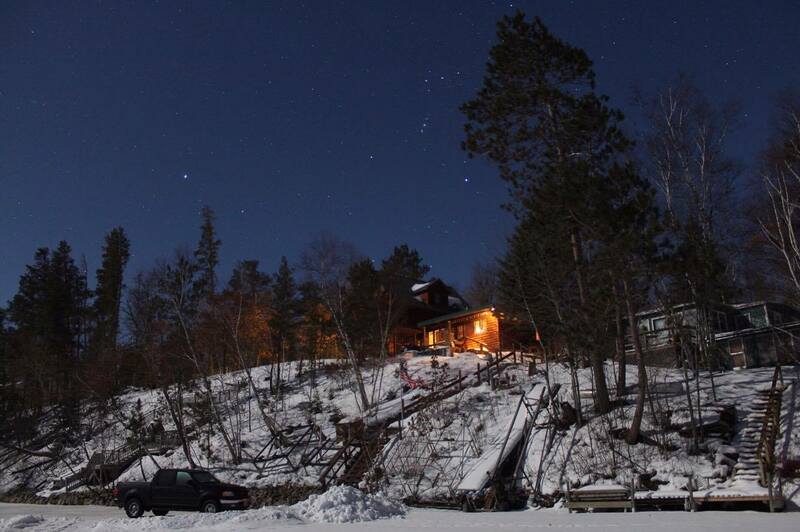 His pictures show how the snow is starting to melt a bit, but most of all Nolan is sharing with us the beauty of Long Lake in this winter season. 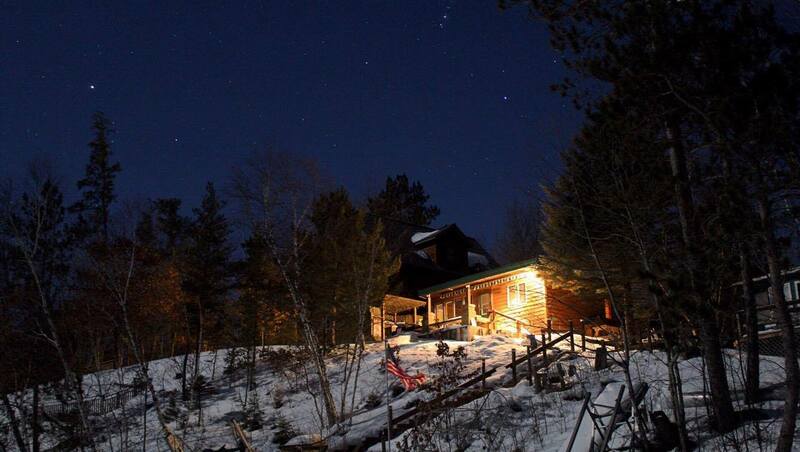 There are things to do and beauty to be seen here at the lake year round. Click on the individual photos to see each of them in a larger format. Lots 2 & 3 near the southwest end of Long Lake in Section 17-139-34 were sold by Joseph Gaylord Smith in Feb 1870 for $1222.00 for the entire 89.63 acres. Joseph had received the two lots as Soldiers Script in February 1868. He and his wife, Mary B. Smith undoubtedly enjoyed their cash flow from the sale of these lots on Long Lake. In approximately 1885 with the building of the dam and the flooding of existing shoreline, there was some devaluing of certain lots. 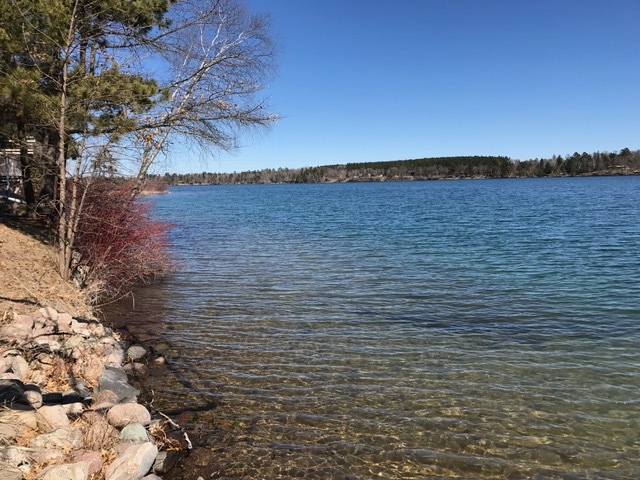 Fast Forward to 1923 when three men and their families purchased lots on the then newly mapped Pine Haven Beach development in the southwest portion of Long Lake; Joe Tam, Don Sanders and Bill Burnett. The men all worked in various capacities for the Des Moines Post Office. 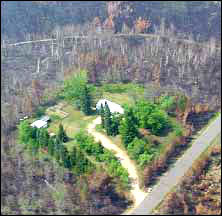 Joe Tam and Bill Burnett split a lot so each family could be safe and close to each other on the 50 foot lots. Taxes in approximately 1934 or earlier were about $4 a front foot. Later, Joe Tam’s daughter Barbara (2nd generation) and her husband, George Curtis purchased a cabin and lot for $400 on Long Lake. Read more about the interesting marketing approaches by the land owner that includes the future price of a hamburger sandwich, the prized eating qualities of Long Lake’s fish, and a cash deal also which doesn’t involve the gold equivalents – now in our Long Lake History. Judy did not end up purchasing a lot on Long Lake but continued to enjoy her parent’s cabin on the East side near Dakota Beach. Special thanks to Barbara Curtis for sharing this piece of Long Lake history with us from her late daughter’s estate records. Remember - It’s your turn now to record and share your family stories! 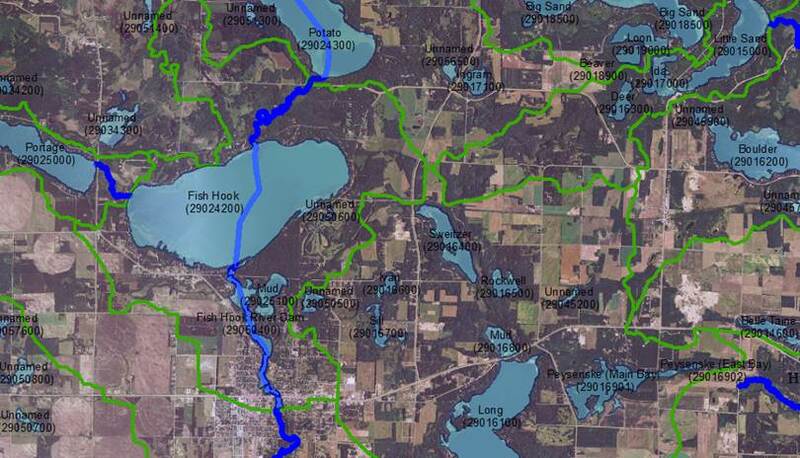 A “Birds Eye View” of a portion of the Long Lake Minor Watershed! Special thanks to the Marie & Tom Hass group who flew over and snapped pictures in early November 2016 after the leaves were down. Marie’s family home is on Crystal Beach on the east side. She grew up on Long Lake. They were helping explore from the air to see if there was a visible river connecting some of the lakes in our Long Lake Minor Watershed. 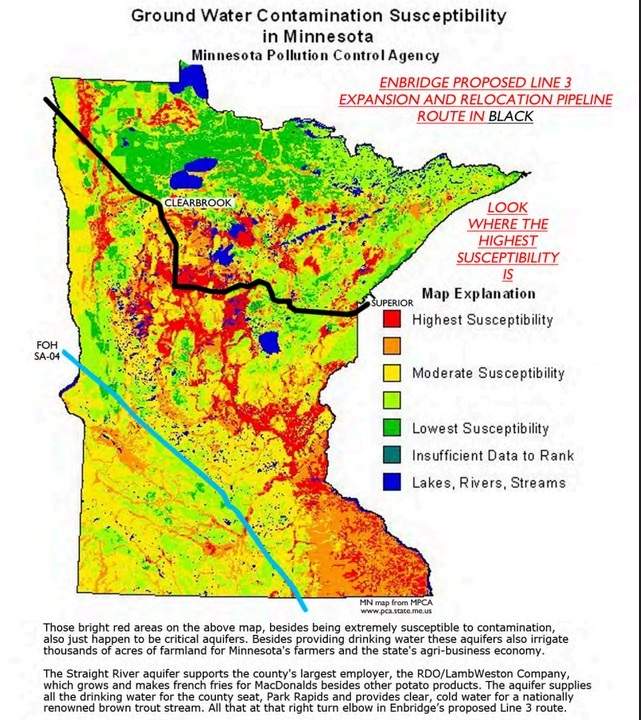 Older MN maps show a river connecting Sweitzer and Mud / Long. 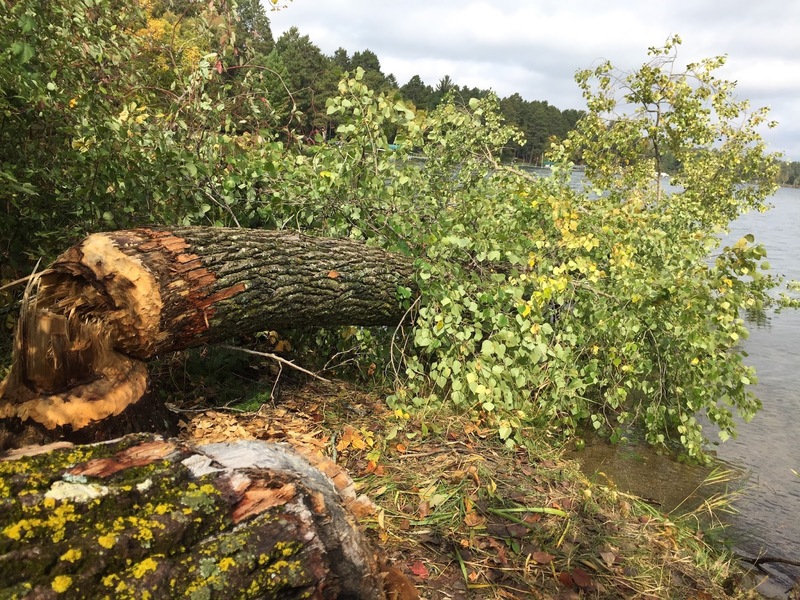 It wasn't possible last autumn to tell from a boat on Mud Lake as fallen trees and high brush at the north end limited visibility and any passage. The first photo below is Rockwell Lake with visible wetland/water between Sweitzer Lake on right. Long Lake is at the top right. You can see Mud Lake in the middle of the picture, separated from Long Lake by Hwy 34 where a culvert allows water to flow year-round. Sweitzer has a smaller culvert where water flows toward Mud/Long year-round. No surface water connection is visible between the water bodies currently; just wetlands. Darrin Hoverson, our local MN DNR Hydrologist, gave an excellent Long Lake Watershed power point presentation at our June Annual Meeting (view here). 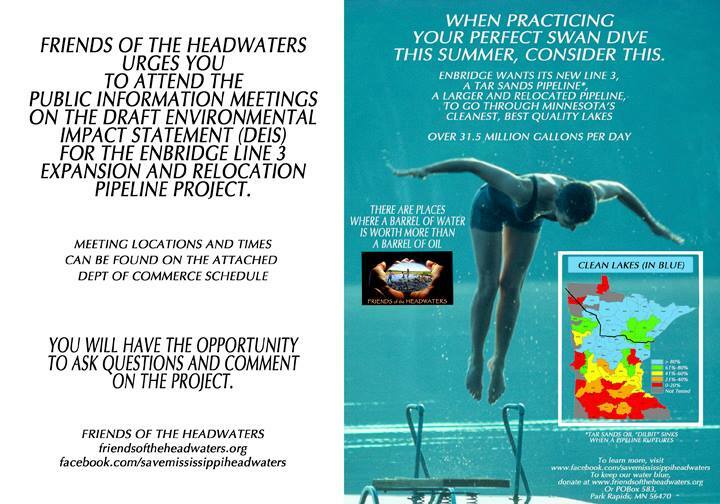 Darrin answers additional questions below on the groundwater connections. Darrin explained that the Long Lake Minor Watershed system of lakes is connected through groundwater and, at times, the surface water, when waters get high. 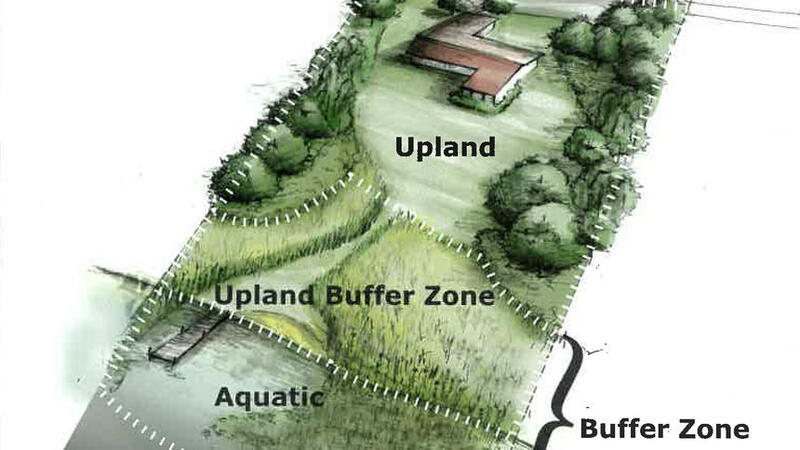 Sweitzer Lake is near the top of the surface- and ground- watershed. 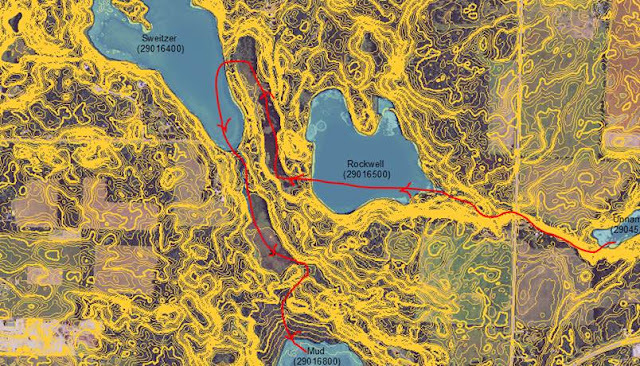 Generally the water flow direction flows towards Mud Lake and then into Long Lake. The green lines on the 1st map below shows an area just north of Sweitzer Lake where the four minor basins meet. Surface water would flow towards those four basins; Deer/Ida, Ingram/Potato, Fish Hook, and Sweitzer/Long. Much of this area does not have a connected surface for water to flow, but water will infiltrate into the ground then move as groundwater. There is a lot of water stored in the ground. When water flows through the culverts in late winter from Sweitzer and Mud (after no liquid precipitation has fallen) this is known as base flow. The volume of water is close to the amount discharging from groundwater (springs) into this surface water system. We are able to see the flow direction for the surface water in red in the 2nd map below with the 2-foot contours map overlay. The flow direction is from Rockwell, Sweitzer to Mud, then Long. When the county Geologic Atlas comes out in the next couple years, Darrin says we can learn more about the deeper groundwater connections.